It’s been a little while since I’ve taken some time to sit back and immerse myself in creating something just for fun/personal development. 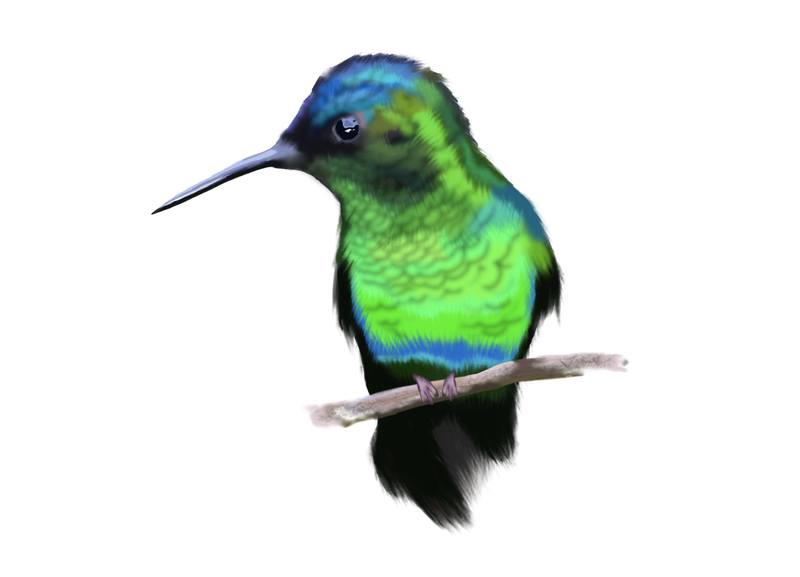 Here is a little hummingbird illustration that I did about a month ago. I found myself getting very frustrated with the texture of the feathers on his chest – so I put it down for a while. Having picked it up again, I realised that it’s perfect the way it is – flaws and all. I think it’s a refreshing reminder that perfection isn’t the goal – unique and authentic designs are. If you find yourself stuck on a project, it’s best to step away and literally sleep on it. Pick it up the next day. John Cleese says in this video about creativity that on one occasion when he got stuck when writing out a sketch, he put it aside, went to bed and revisited it in the morning. And, the next day, when he sat down at his desk to continue, not only was the solution immediately apparent to him, he couldn’t remember the problem (or obstacle) that had been bugging him the night before. It’s a simple tip, but it’s also a very practical one. The other point of putting aside time to create, for me, is to improve my skills. Bluntly, I don’t believe in talent, except in rare cases. For the majority of us, it takes practice, time, study, tutorials and plenty of mistakes. So, I just wanted to put that out there – don’t be afraid to invest your time in personal development. It’s easy to prioritise client work and there are times when you definitely should – deadlines are deadlines. But when you can, try and make time for personal projects and study because it is so important for the bigger picture and your long-term goals.